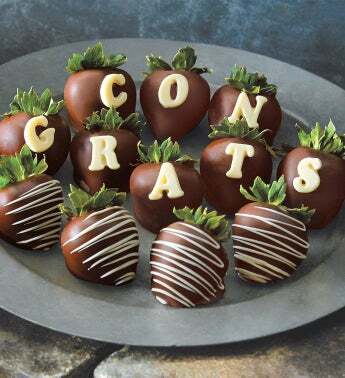 8 decorated with white letters spelling "CONGRATS"
Hand-decorated with white chocolate letters, these chocolate-covered strawberries are a wonderfully sweet gift and a unique way to say congratulations. Shipped to artisan chocolatiers shortly after being harvested in the fields, these extra-large berries are individually hand-dipped in rich Belgian dark chocolate. 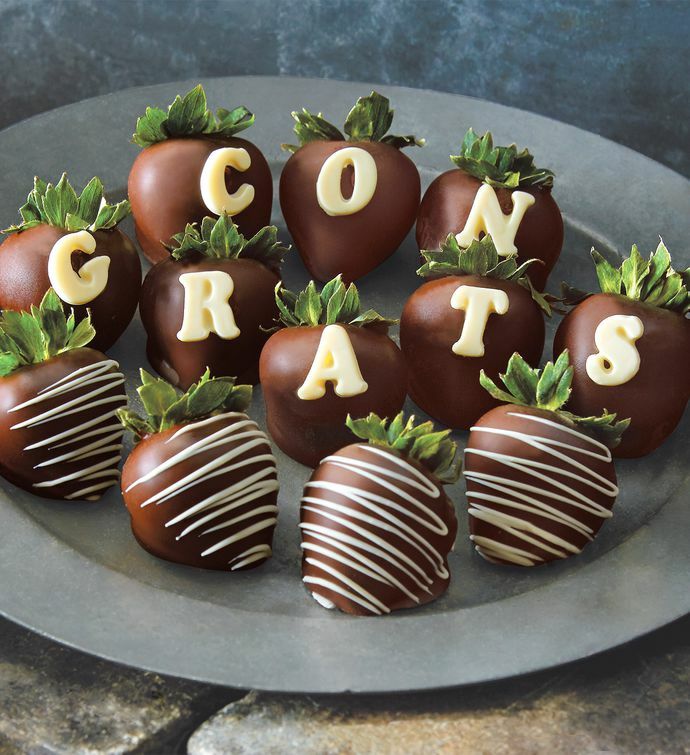 Whether for a graduation, promotion, engagement, or any other occasion, these chocolate-covered fruit are sure to impress.